Robert Parker, the Wine Advocate renowned critic, has warned that wine-lovers of the Western world could end their affair with Bordeaux should its châteaux raise prices on their latest vintage once again. Parker dubbed « the pope of the vineyards » due to the influence his wine notes wield, said Bordeaux would play a « very dangerous game » if they decided to raise the 2010 prices. 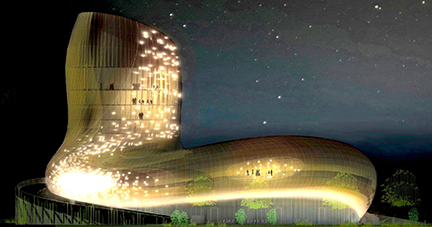 Many Bordeaux producers and some critics had hailed 2009 the « vintage of the century » after near-perfect climatic conditions, and prices for the top growths reached record highs. « This is only the eighth vintage of the century in ten years, » commented ironically the successful French winemaking consultant Stéphane Derenoncourt. 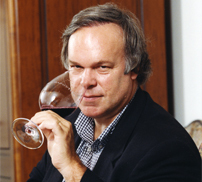 Robert Parker, world’s most influential wine critic and founder of the Wine Advocate announced on Saturday that he has decided to continue tasting only Bordeaux and the Rhône Valley wines and stop reviewing California wines except older vintages, passing the responsibility to Antonio Galloni. Galloni, who has been Wine Advocate‘s responsible for Italian wine for several years, had been getting a larger portion of the review duties, including the influential portions of Burgundy, Côte d’Or and Chablis, following on recent duties for Champagne reviews. 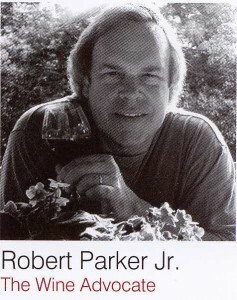 A ‘Grand Tasting‘ was held by Robert Parker (right) from 6 to 8 pm on Nov. 12 at WineFuture Rioja’09 in Logroño, Spain. It included a selection of Grenache (Garnacha in Spanish), i-e made with at least 90% Grenache, (with the exception of two Rioja), from around the world. Some wondered why Parker had not chosen Tempranillo since the conference was being held in Rioja and he responded that unlike Grenache which is successfully produced in many countries, there were not enough good non-Spanish Tempranillos to garantee an international tasting: “I have chosen to hold the tasting with twenty wines of Garnacha from around the globe as it is one of the most interesting varieties, and also because Spain is the cradle of this grape” he said. The tasting session comprised 7 wines from France—Châteauneuf-du-Pape exclusively; 7 from Spain—2 from Rioja; 2 from California; and 4 from Australia. I was lucky enough to be able to attend this outstanding Parker Grand Tasting while in Logroño for the purpose of my Desembolic reports. 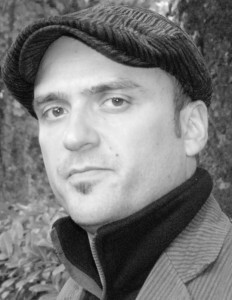 Installed in Barcelona since 2005 as a journalist, I specialize in Spanish wines, contributing to many wine focusing media. One after another Parker tasted the 20 wines that he had personally selected one after another in front of an audience of 530, invited as speakers and sponsors or having paid a €600+ entrance fee. Under the supervision of Bruno Murciano, winner of the Best Sommelier 2008 in Spain, 20 sommeliers in charge of opening, tasting and serving the 600 bottles presented, poured the wines into 10,700 glasses. Here are quoted Parker’s impressions and explanations from The Wine Advocate, followed by mine.